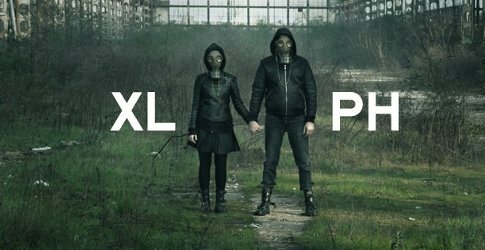 Italian niche brand Blood Concept will launch XL and PH, two new unisex fragrances. Other recent fragrances from the brand include 2013's Black Series. The unmistakable spirit of research in Blood Concept is achieved this year in the exploration of new vital saps present in the world of Mother Nature. The new fragrances are named XL (xylem) and PH (Phloem). Xylem, wood sap, carries nourishment from deep in the ground up to the leaves, with an ascendant movement that is rendered in the perfume by an upturned pyramid in which the deep woody notes are mixed immediately with the citrus coup de fouet that expresses the energy of photosynthesis. A persistent chord of ozone symbolizes the air, the sky, the arrival point of the xylem sap. Phloem instead is the sap of nourishment, the true source of life. Full of sucrose, minerals, amino acids and hormones, it is the very symbol of energy. The fragrance that it represents interprets this function with a complex construction in which the breath of spicy and citrus notes mingle with wood and balsam. A special finish is left by White Oud, with its mystical note, that closes the circle which began with Rum, Lemon Peel and Black Peppercorns. Isn’t Phloem that “vital sap” you get when you have a cold? Oh wait, that’s Phlegm. Had honestly never heard that word, but yep, it exists.